Juniper Networks announced the global expansion of OpenLab to enable local delivery of its programs to six new locations across North America, Europe and Asia. The OpenLab program will provide customers, partners, academics and other industry leaders with a range of resources, such as educational programs, SDN sandboxes and NFV interoperability testing, to build and learn about emerging virtualization and automation technologies. The expansion builds on the success of Juniper’s flagship OpenLab innovation center in New Jersey, which provides worldwide access to physical and virtual Juniper products that simulate real-world networking environments and scenarios, enabling users to build and test new network solutions, such as software-defined networking (SDN) and network functions virtualization (NFV) technologies. “OpenLab is a globally accessible resource created primarily to spark new ideas for network innovation through education and collaboration. Juniper offers the technology, resources and education that enables our customers to push the boundaries of networking, drive innovation and create technologies that help them tackle their toughest business challenges.” said Jerry Passione, general manager, OpenLab, at Juniper Networks. “A new generation of networks is pushing business growth at an exponential pace, connecting companies to the market at a greater speed than ever before. Juniper’s report released today shows that having a well-prepared workforce is vital to how well companies can prepare and respond in times of change. By expanding OpenLab, we’re helping our customers leverage networking technologies to speed decision-making and accelerate innovation.” Said Mike Marcellin, chief marketing officer at Juniper Networks. A global survey of IT and business decision-makers released revealed IT workforces lack the necessary training to stay knowledgeable about network technology. Nearly half (45 percent) of surveyed IT decision-makers believe their workforce will not have the skills needed for their role five years from now. The new regional centers will provide hands-on training, workshops and network technology competitions that help IT leaders educate and equip their workforces for the next era of digital transformation. By increasing the availability of OpenLab expertise and resources, Juniper is empowering industry leaders, both existing and emerging, with the training and hands-on experiences necessary to keep pace with networking evolution. 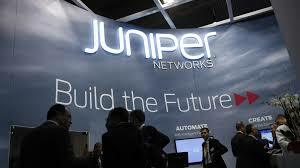 Juniper Networks Announces Global OpenLab Program 0 out of 5 based on 0 ratings. 0 user reviews.